The Placenta is gently cleaned and sliced into thin strips. Then using a placenta-only dehydrator, it is dehydrated at a low heat until dry. I then grind the dehydrated pieces into fine powder. The placenta pills are finally put into a jar with a quartz crystal-all ready for mama to begin her healing journey. 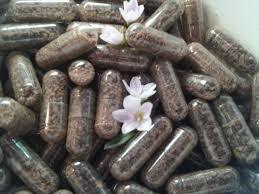 Bringing home your Placenta can be a very powerful medicine for both you and baby. 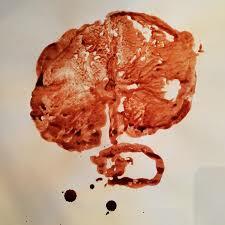 If you would like to capture your placenta's full essence then I can offer a selection of Placenta Photos & Prints using organic recycled paper so you are able to have it as a keep sake. Nourishing your body during your postpartum will allow you to heal and flourish as you step into mothering. I'll prepare a blend of organic herbs for a Nourishing Mama Tea and a Herbal Afterbirth Sitz Bath that will be included in your postpartum healing package. $150, payable upon receiving your remedies. This service includes pick-up from your birthing location and delivery to your home upon completion. There are many costs to bring in a new soul. For this reason, payment plans are always available.